Evelyn Coleman has never been a woman to rest on her laurels. An acclaimed author of nine childrens' books, she turned to writing as a second profession after enjoying a successful career as a psychotherapist. Now, she is forging new ground with the release of her first thriller, What a Woman's Gotta Do (Simon & Schuster) which features African American journalist Patricia Conley and is garnering enthusiastic reviews from both fans and critics alike. Her popular children's books, The Foot Warmer and the Crow, The Glass Bottle Tree and White Socks Only have garnered much praise and numerous honors including: Parents Choice Honor Book 1996, American Booksellers Association's Pick of the List for 1996, The Smithsonian Most Outstanding Children's Book Title for 1996, the Publisher's Weekly Cuffie Award 1996, Notable Children's Trade Books in the Field of Social Studies for 1995 and 1996 and being selected as Children's Book of the Year by the Bank Street Child Study Children's Committee. 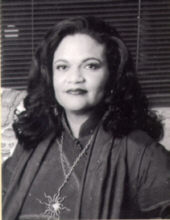 Her adult fiction and nonfiction have appeared in Essence, Black Enterprise, Accent on Living, Jive, Southern Exposure, Catalyst Literary Magazine, The Quarterly Black Review, the Utne Reader and numerous newspapers including The Atlanta Journal and Constitution. In 1989, she was the first African American in North Carolina Arts Council's ten year history to win one of their $5,000 fiction fellowships. Coleman also won merit fellowships to Rice University and Highlights week-long writing schools for children in 1991. That same summer she attended Vassar's week long children's writing school. She has taken screenwriting classes from R. Mckee and M. Huage. She has been a frequent lecturer and workshop leader for the Society of Children's Book Writers & Illustrators, National Association of Black Journalists, Georgia State University, American Library Association, National Conference of Teachers of English, many regional writing conferences and Rice University Writer's Workshop. She was a certified instructor for the Institute of Children's Literature. Her latest children's book, To Be A Drum was released this February from Albert Whitman. Evelyn spoke with us about her move from being a successful children's author to writing thrillers, the challenges faced by a female African American writing in a traditionally white male-dominated genre and what she thinks can be done to heal the scars of racial unrest. To be truthful it was the day I got a rejection letter and cried; vowed to never write again, and then found myself back at the keyboard a few hours later. I knew then, I was either going to be a writer, or a misdirected masochist. Now I know it was both. Kidding aside, in college my freshman English teacher, who was a white woman, living in a barn with animals, told me, "you're a wonderful writer." I had never heard of a living black writer and I wasn't ready to be dead, so I said, no way. Plus, she was a little weird. And I mean weird to a young black girl who thought her real parents, and not the loving mother and father who raised her, had brought her to earth from the planet Mars. For years after I would have spurts of frenzied writing but it was mostly for myself. Sometimes I'd force my colleagues at mental health to listen to my stories in exchange for not telling our director they were playing cards in my office. My only venture into blackmail that I can recall. But I probably always knew one day I'd write and attempt to get published. However, I didn't think I could make a living writing until I was older. Much older. And still, so far, I was wrong. How did you sell your first book? After reading about Allan Folsom's big windfall upon selling The Day After Tomorrow, I wrote a query letter and mailed copies to six top agents. I'd been told over and over, it would take six months minimum to get a response. I write fast. I reasoned by the time I heard from one of them I'd have a completed manuscript. So when all six responded in a week I was ill prepared. No Manuscript = No Agent. My agent, who later sold my first two books, and became a friend, decided to take me even if I hadn't written the manuscript, based on my query and my previous publishing credits, including the children's books. Almost two years later I wrote my first full-length manuscript and the rest you know. What prompted the change in career from being a psychotherapist to being an author of children's books? North Carolina Arts Council's fellowships and I've been writing ever since. I began writing for magazines, newspapers and selling some short stories. I even worked as the managing editor of a small non-denominational newspaper. But my difficulty came from switching my adult writing to children's. I had always loved children's picture books ever since my own daughters were children. And I'd vowed I'd write one that had black people in it when I was a child myself. It took me about 18 months of taking classes, reading hundreds of children's books, joining the Society of Children's Book Writers and Illustrators, attending workshops and reading every book about children's writing and literature before I was comfortable that I might be able to pull it off. Children's books are still a lot harder for me to write than any other form. And they take me the longest. After finding success as a children's author, you decided to write a mystery/thriller. What prompted the change in genre? Money. I found it impossible to make enough money in the children's genre to quit my day job, so I decided to write the one type of book I knew best. That was a thriller. It was the only fiction I'd read since college. I would read a different thriller every week for years. That was before they were even tagging them thrillers. Will you continue to write children's books as well as mystery/thrillers? I think I'll always write children's books. Whether they'll be publishable is another question. And I want to continue writing the thriller until I'm too old to hold a pointer in my teeth to hit the keyboard and too weak to speak into a microphone to have Simply Speaking Gold interpret for me. Tell us about your new children's book To Be a Drum. To Be A Drum is derived from an activity we played as a child with my own father. We would lay down on the ground with our ear to the earth. My father told us if we could be still and quiet we'd hear the heart beat of the earth. And whether we did or not, we heard something. It gave us a great inner strength to believe that we were apart of all things including the earth's very heartbeat. I offer this to children now and invite everyone to "become a drum." Your new thriller is What A Woman's Gotta Do which stars gutsy heroine Atlanta journalist Patricia Conley. Who or what was your inspiration for Patricia? When I was a young girl I had many strong women for role models; my mother, Annie, my two grandmothers, Mary and Mamie, my aunts Audrey, Lucille, Jessie, Ruth, Vera, Evelyn, Esther, Maxine, Clarene, Loretta, my cousins Lula Jane, Olene and Annie Carol, an independent woman who I thought could handle everything named Carole Sue Wade and many others. Later I would know other strong women, Denise Stinson, Charlene Shucker, Angela Benson, Angela Medearis, Levones Chisholm, Glenda Payne, Patricia Carr, Pam Walker, Cynthia Tucker, Fanta Mutota, Royal Alley Barnes, Brooke Stephens, Dothula Barron, Chris Snell, Louise Pulliam, Lavern Jones and so many others I can't name. Patricia Conley is a combination of not only those women but some men I've known as well. The main male character in the book is the enigmatic and mysterious Jeff Samuels. How did you create the character of Jeff? My present husband, Talib Din, probably fits Jeff's character better than anyone I know. He is the strong silent type, yet he doesn't mind being gentle and loving. One of the issues dealt with in the book is relationships, especially those between African American men and women. Many African American women authors have expressed great bitterness at the state relations between the two sexes. How did they get driven so far apart? I'm not so sure African American men and women are any further apart than any other men and women. After all "Women are from Venus and Men are from Mars" was penned by a white author. As for black women, they, black women, authors included, are still buying tons of books and reading zillions of articles on "how to get a man," and I believe it most often means a "black man." So maybe their anger is not directed at men but the men they've known. Or even the men they've lost. My father taught me to treat all relationships, particularly those with men, the same way we fished. When fishing you have to pull the fish up out of the water, close enough to examine it, before you know if it's the type fish you want to cook and eat. Sometimes it might be too bitter for your taste or whatever. Then you gently take it off the hook, being careful not to hurt it, and toss it back so it won't be afraid to get caught again. If we all treated each other that way in relationships I don't think we'd have much anger and resentment left over. I believe that we all must begin to examine a more progressive paradigm and that is that we are all apart of one another whether we reside in the physical body of a male or female. The Dogon elder conveyed a similar message. Another important issue touched on in the novel is that of racial relations. Patricia is African American, yet her friends range the gamut from her Irish-American coworker Carol to her old Yiddish-speaking jeweler friend Ira. Have you seen an improvement in racial relations in the last 10 years or have things actually gotten worse? "Write what you want to write, don't worry about the market. And as to the advice I hear often, "get a good agent" -- I say write a good story and the good agent will come.."
long as you stayed wrapped in your own cocoon. Often times white people who didn't have to be with blacks socially assumed that because they didn't call them out of their names it meant they were not racist. Now, not only are white people often forced to confront their racist/prejudice notions but black people as well. I believe that this problem of race relations can be resolved if each person becomes intimate friends with a person not only of another race but culture, and even socio-economic background. Because as 2000 approaches we are more and more divided by economics than race or culture. Getting to know each other intimately is the only way we will be willing to look beneath and beyond our superficial boundaries. One of the fascinating elements of the book is the mystical Dogons. Tell us about how you created that part of the story. Is there any factual basis for the legend described in the book? The mystical Dogons do exist. They are an African tribe from the Mali region of Africa. For decades Marcel Griaule, a French anthropologist studied and lived with the Dogon, documenting the incredible knowledge they possessed. Of course, my book is purely fiction but reading, The Pale Fox, one of the few books by Griaule that was translated to English, I think you'd come away with a great respect for African cultures. And, some readers already have likened this book to The Celestine Prophecy. I don't think I can write a book that has no spiritual aspect because of my own path. On the other hand I'm not a guru and can barely guide myself. What was the greatest challenge in writing your first thriller ? My greatest challenge was not in the writing but in the marketing. It will take some time to convince people of all cultures they may enjoy reading a thriller with a black female protagonist that is penned by a black female. Crossing over is much more difficult if you're writing in the domain of the thriller (normally written by white males) and you're black, female and you want to deliver a universal message. It has not been as difficult for white writers who have black protagonist to gain readers of all races, as of late, ie., James Patterson. And that's a step in the right direction. And classical mystery readers have long overcome those restrictions for their reading taste with Walter Mosley, Barbara Neely and Eleanor Taylor Bland. I believe that gains in the thriller cross-over market will continue to evolve. There are all kinds of folk reading Toni Morrison and Ernest Gaines work who didn't normally read "high literary" penned by black authors. If nothing else, Oprah's book club pushed us all across a river. Now if we can just avoid drowning in all the hype we'll be alright. How much do you use the Internet -- for research, communication etc.? I love the Internet. I use it extensively in my preliminary research to locate who's researching what, where. I also have used it to discuss my ideas and notions on many subjects. I often wonder what I was doing before I had it. Probably snacking. While women have made great strides in the mystery genre they have lagged behind in the thriller genre. What made you write the story as a thriller instead of as, say a cozy mystery? I am not a cozy mystery reader. And even though as a young person I loved Agatha Christie, I was more of an Edgar Alan Poe fan. Because of my love for biology, mechanics, physics, history, math, astronomy, metaphysics, psychology and intricate fast paced plots, the thriller was a natural maturation for me. I'm not so sure women lagged behind either. It may be that this was not what they chose to read in mass. Women drove the romantic suspense field while white males drove the thriller. I think that when Silence of the Lambs presented a strong female protagonist it also attracted more women readers to the thriller genre. I have always loved thrillers beginning with early Robert Ludlum. I devoured the espionage thriller for years reading them as fast as they popped out. I am also a big fan of any thriller that has a touch of mysticism. I have nothing but thrillers in my hardback fiction library. I like espionage, techno, psychological, medical, Michael Palmer especially, and legal thrillers. Eric Lustbader, David Morrell, Warren Murphy, Umberto Eco, Ken Follet, Thomas Perry and Stephen King. There are those who don't see King's work as thrillers but some of his books fall within the framework of the genre to me. Besides I think King can write any genre well. Grisham is another writer who walks a fine-line in the thriller genre. However, he is beyond a doubt a "compelling" writer. More recently I fell in love with John Dunning and John Saul's books. My all time favorite thrillers were penned by Warren Murphy and his wife Molly Cochran, The Grandmaster and High Priest. I found out this year that both were the brainchild of Molly Cochran. So, if I had to give credit to my influences, it would be a woman after all. What is your schedule for writing? Do you write everyday? What are your surroundings? I write at home in my office. A window looks out into my backyard where a large family of blue jays live alongside a few cardinals. And squirrels, let's not forget those dogged squirrels. I write from 10:00 am until 3:00 am taking about three hour-long breaks during the day. I write seven days a week. What is your advice to aspiring writers hoping to get published? Do you believe writing courses are helpful? "I believe that this problem of race relations can be resolved if each person becomes intimate friends with a person not only of another race but culture, and even socio-economic background. Getting to know each other intimately is the only way we will be willing to look beneath and beyond our superficial boundaries." them to tell you in a few minutes what they've spent half their lives learning. Next write -- write daily, if only for a short time. Write when you're not inspired, as well as, when you've got the muse chatting as fast as James Brown can sing, on your shoulder. By all means, attend workshops/and or classes, but chose them wisely, as though you're buying a car. Don't follow this advice if you're prone to purchasing lemons. And do not let price determine what you take. Expensive doesn't always mean quality. Get recommendations from people who you deem their judgement to be solid. Don't go for just a "big name." Remember author is not synonymous with teacher. Write what you want to write, don't worry about the market. Don't copyright your work unnecessarily. And as to the advice I hear often, "get a good agent" -- I say write a good story and the good agent will come. My second thriller is a psychological suspense thriller with a new protagonist. This is a stand alone. It's going to be very, very scary to some people. And just plain scary to everybody else. You'll have to read it to find out which you are....Then the third book will go back to Patricia Conley. Can you give us a sneak peek for what's ahead for Patricia Conley? She's going to be out on a limb for sure and then someone who she grows to trust is going to chop down the whole darn tree. When you are not writing, what are some of your favorite ways to relax? Reading mostly. Some meditation. And a whole lot of eating chocolate and sugar. Okay, so maybe that's not relaxing but I predict soon you'll hear that chocolate is a sure cure for situational depression. What do you feel was the greatest challenge you have faced in your life? Balancing my psychic energy and being able to channel my obsessive-compulsive behavior in beneficial directions without medication. Remaining close friends with all my ex-husbands. And my personal favorite, not being locked up permanently in a mental ward.